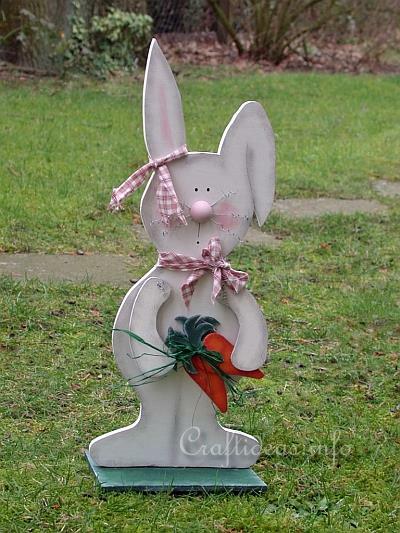 Welcome the spring season by adding this charming little fellow to your home this year. This wood project is complete with all instructions and patterns, so he can be finished just in time for Easter. It is easy to saw out and paint and requires just a little bit of patience with the assembly of the nose and whiskers. If you choose to use this decoration for your patio or porch, it is highly recommended to seal it with gloss to weatherproof it. This project measures approximately 52 cm or 20.8 inches high. You can enlarge or decrease the pattens to fit your own needs. 1. 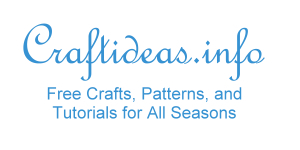 Print out each of the 3 patterns the same size and enlarge or decrease with a copier if desired. Place the 3 rabbit body parts together to get the whole body. 2. Transfer the patterns on to the appropriate thickness of wood and saw out. Create a stand for the bunny in a size you prefer. 3. Paint the parts accordingly and let completely dry. A second coat may be necessary if the first coat does not completely cover. 5. Paint the nose pink and drybrush pink in the standing ear. 6. Drill holes in the body and shoulder where indicated and insert wire from the backside through the body and through the arm. The arms remain movable this way. Twist wire closed and spiral curl the ends. 7. Drill a 3.2 mm hole through the center of the face for the nose. On each side of this hole, drill three 1.5 mm holes vertically. These holes are for the whiskers. 8. Use a fine permanent marker or a thin paint brush and add the facial features. Blush the cheeks by drybrushing pink on them. 9. Insert 3 longer pieces of wire through the small holes in the face so that there are 3 rows of wire and the ends come out on each side of the nose. Spiral curl the ends. 10. * This part is tricky* Drill a hole in the nose but do not go through the nose. Screw a screw from the backside of the bunny face to screw the nose on. Use additional wood glue to hold the nose in place. 11. Rip a couple of strips of cotton plaid fabric and tie a bow around the neck of the bunny and also around the ear. 12. 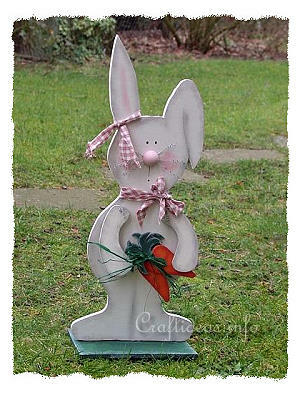 Glue the carrots together, tie a raffia around them for dekoration and then glue them to the hands of the bunny. 13. Drill a hole through the center of the board and underneath the center of the bunny. Sink the hole in the board and add a screw from underneath to screw the bunny to the board. Additional wood glue will secure the bunny in place.